Business « Steven J. Crowley, P.E. AT&T and T-Mobile have collected their press release and associated documents on one web site. A few points caught my eye. Internet analyst Mary Meeker has released her latest update on internet trends. This updates her report from December 2009. In the update, Meeker and her colleagues report mobile internet usage ramping up faster than desktop usage with the number of mobile users exceeding desktop users in five years. Several times the report looks to Japan for leading indicators of mobile trends in the US. 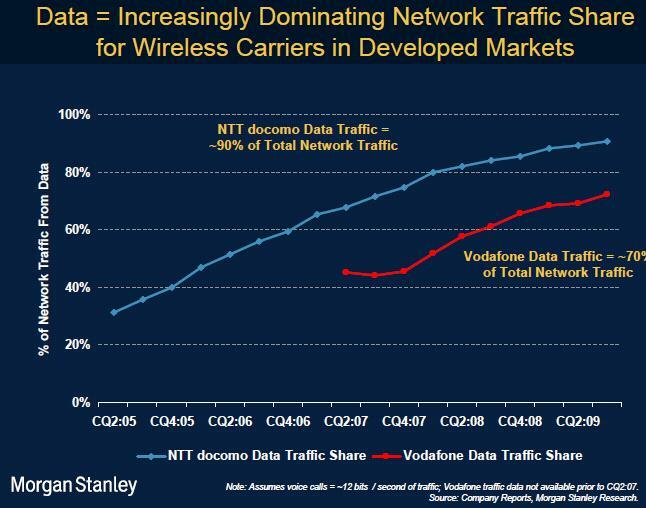 Mobile network traffic continues to shift from voice to data, with NTT DOCOMO now at 90% data. It cites Rakuten Ichiba as Japan’s leading electronic commerce company with 19% of its online revenue derived from mobile. The report sees 3G is seen as key to the success of the mobile internet, but options such as Wi-Fi and Bluetooth are growing rapidly. Network traffic growth, driven by video, is expected to rise 39-times by 2014, for a compound annual growth rate of 108%. The report documents the growth in social-networking applications. Facebook is now the top-downloaded iPhone/iTouch application. In 2008, desktop internet revenue was dominated by advertising and electronic commerce paid by the vendor or advertiser. 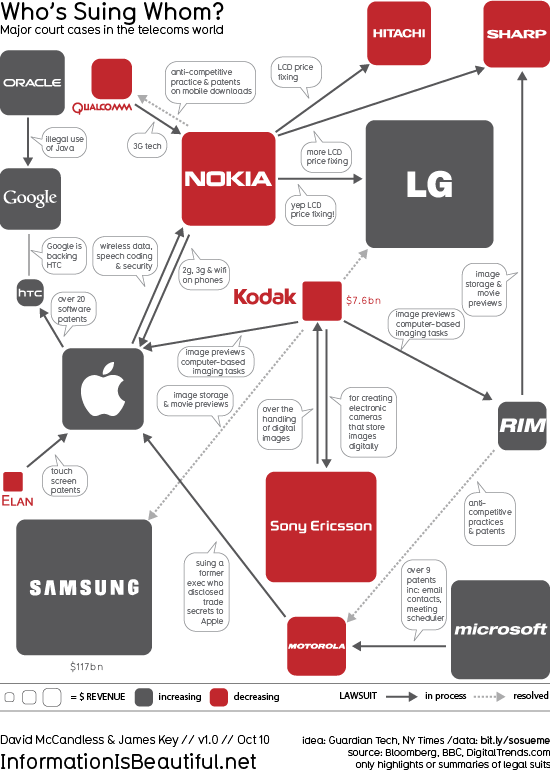 Also for 2008, and in contrast, mobile internet revenue was dominated by premium content revenue paid by the user. At the end of the presentation, we see a comparison of the mobile internet revenue mix between Japan and the rest of the world. Mobile internet revenue is broken down into four categories: mobile advertising, mobile paid services, mobile online commerce, and mobile data access. The analysis shows that the rest-of-world percentage breakdown by category in 2008 is similar to Japan’s in 2000. The implication is that the rest-of-the-world should look at what Japan has been doing more recently, since the rest-of-the-world may trend toward that. What’s “that?” A higher share of mobile internet revenue from mobile advertising, mobile paid services, and mobile online commerce, and a lower share from mobile data access.